Mostly delivers on what its name implies. 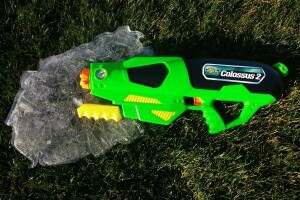 A colossal name, but an average water blaster. 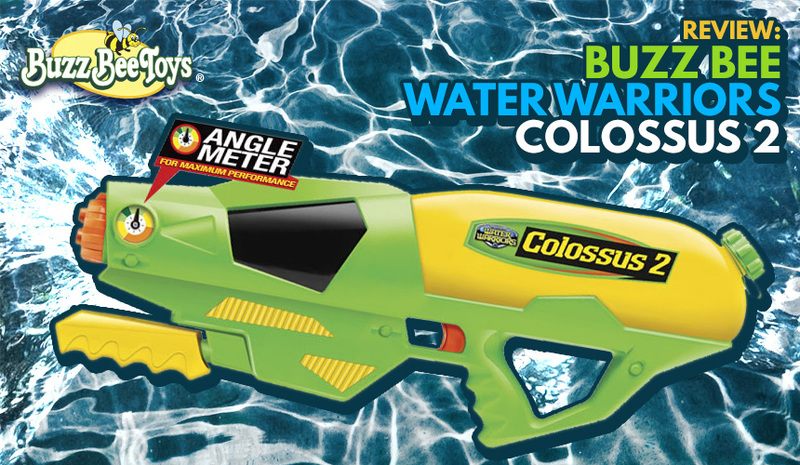 The Colossus 2, a Water Warriors original and sequel to its first-generation ‘Colossus,’ is colossal in stature, but our experts found little to “write home about” with its overall functionality, sustainability and features. 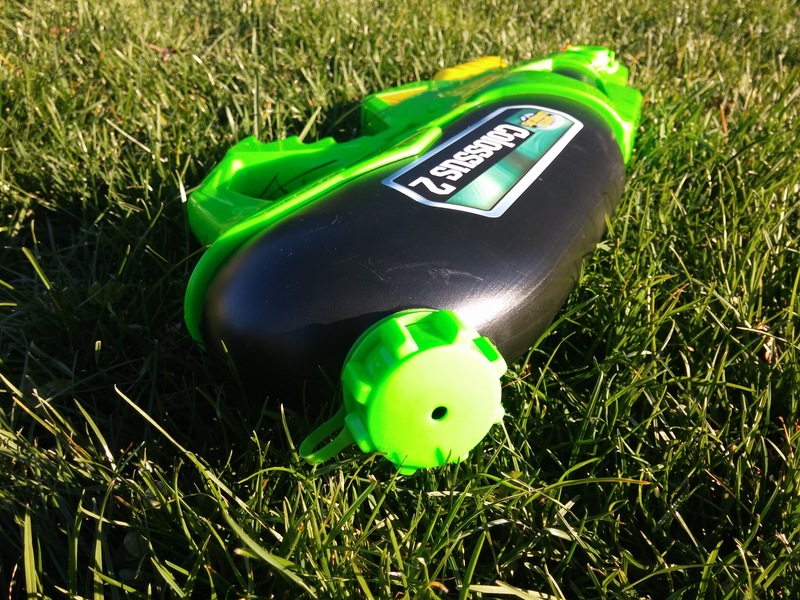 The Colossus 2, engineered by the Buzz Bee line of water soakers, a parent to the Water Warriors series, has a good upside but too many questions left our team unsure of its performance down the road. 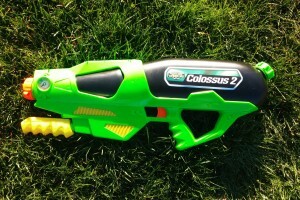 The Colossus 2 is definitely an imposing blaster, as it exceeds 25” in length and can hold 74 Oz. 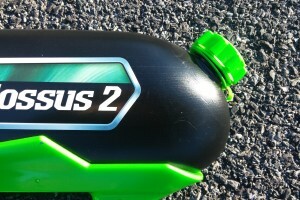 of water – picture a 2 Liter bottle of soda and you’ve visualized the volume of the Colossus 2’s water reservoir, plus some! 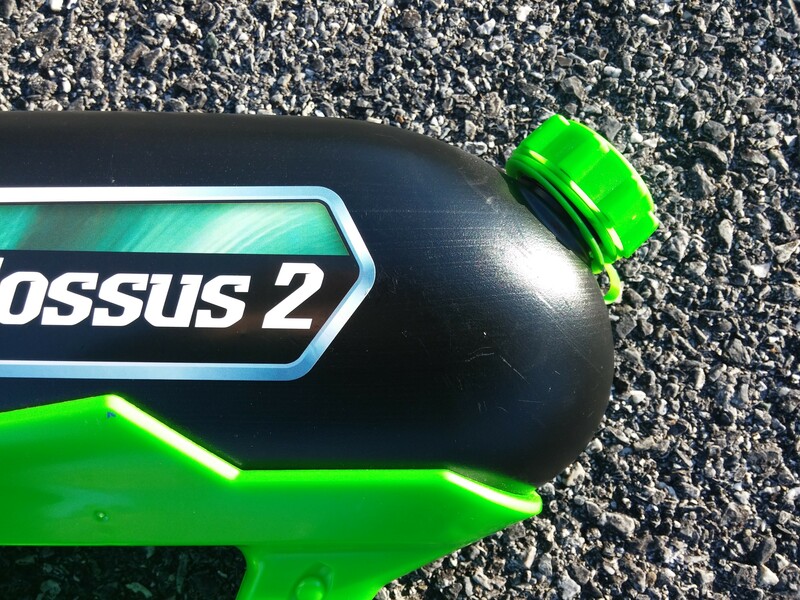 The Colossus 2 is powered by air pressure generated by its pump, so its power is directly related to pump frequency (the higher the number of pumps, the better the shot velocity, accuracy, range, etc.). 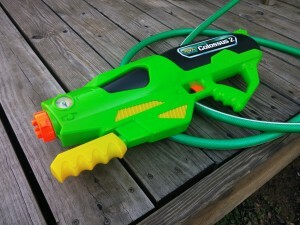 Compared to some of Super Soaker’s battery-powered designs, the Colossus 2’s manual pumping can seem cumbersome but then again you don’t have to fuss with electronic compartments or replacing batteries, a trade-off of sorts in the arena of water blasters. 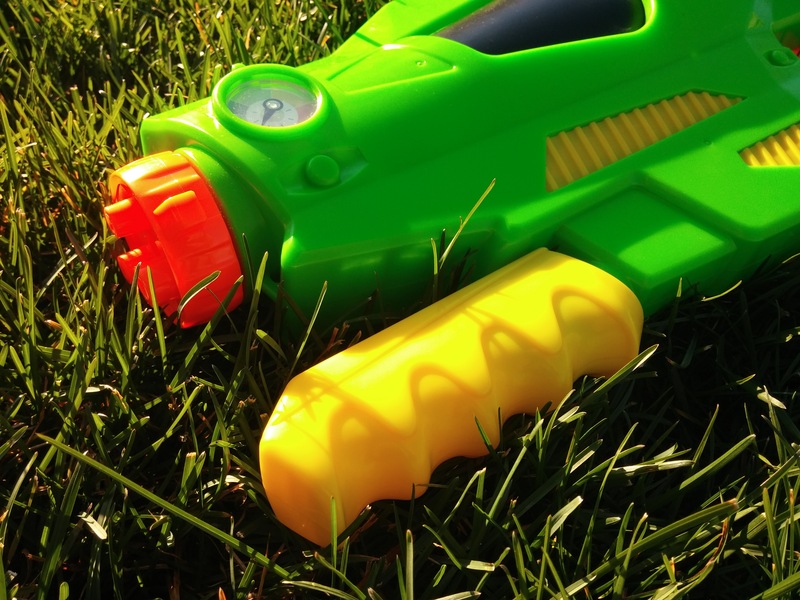 If you’ve followed water blaster history for the past few decades (we’re definitely guilty of this) you may know of the longstanding animosity between Hasbro and Buzz Bee, in fact, a recent patent case against Buzz Bee toys was decided in favor of Hasbro. 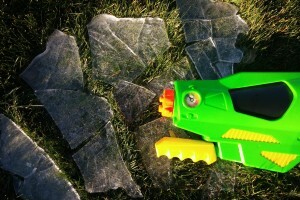 So how did the feud start? 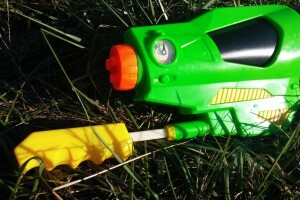 When Super Soaker (then owned by Larami) was acquired by Hasbro in 2002, several of Larami’s engineers were terminated, many of which combined their talents at the time to form their very own line of blasters called Buzz Bee Toys, and subsequently the Water Warriors line of water guns. 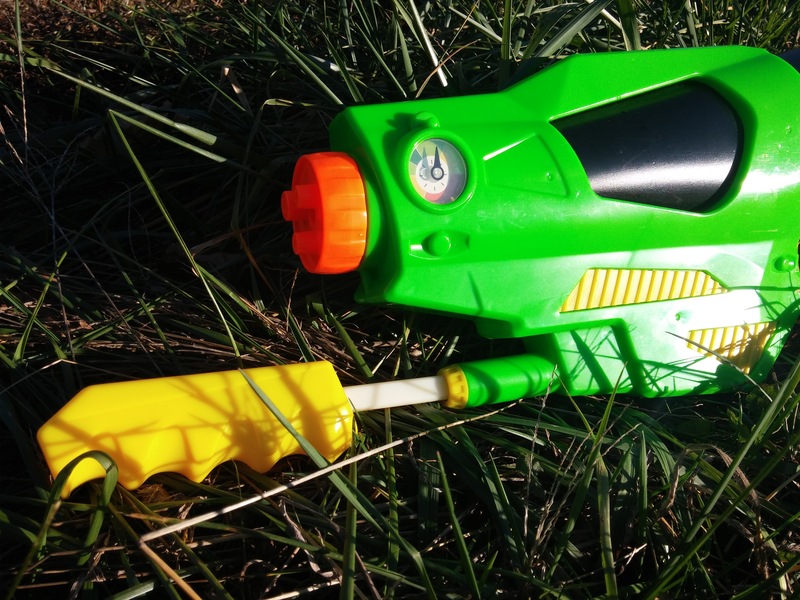 Water Warriors has stayed true to its course of pressurized water weaponry and thus has avoided the battery-powered route, in effect reinforcing the divide between Super Soaker and Water Warriors, what was, and what now is as a result of the split. 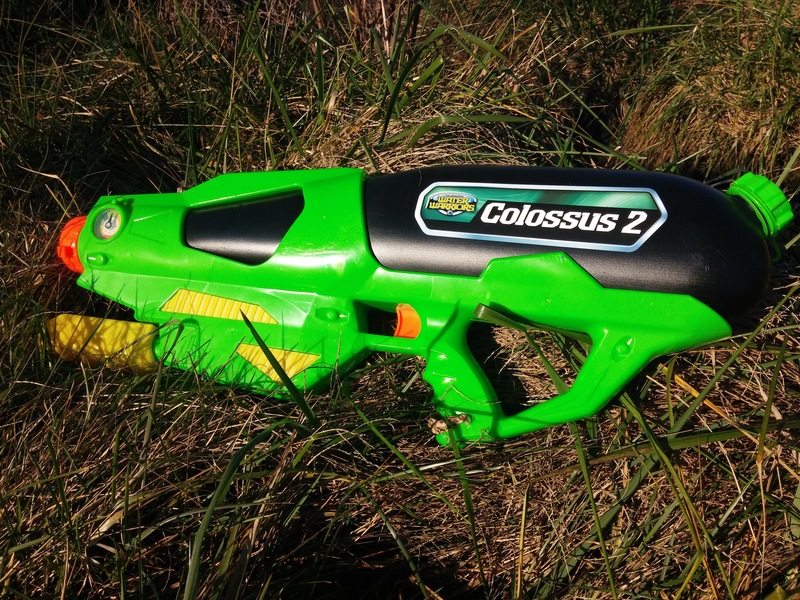 The Colossus 2 is a big soaker, hence the name, but we didn’t get the feeling that its size was overwhelming to wield and operate, which is a plus. 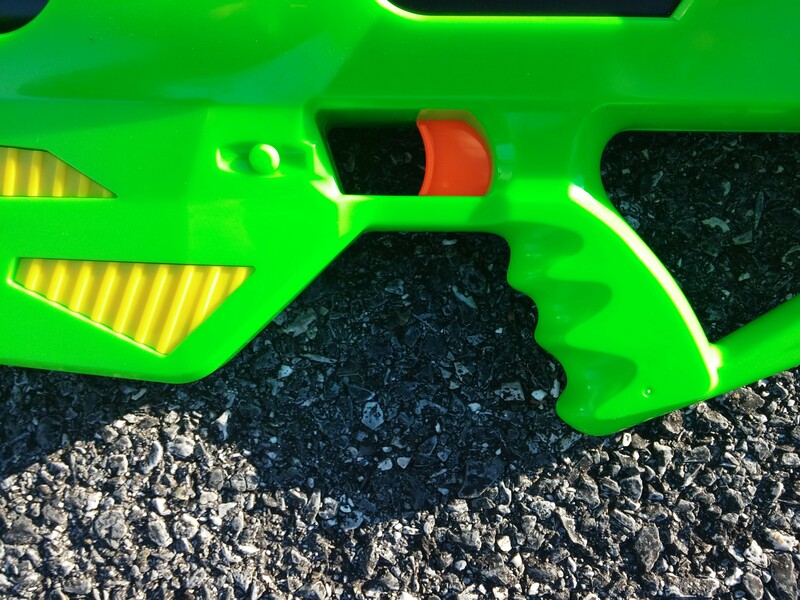 Its three adjustable firing nozzles are a nice touch and although switching between them does not really change the gun’s output in any marked way, it’s a neat feature nonetheless. 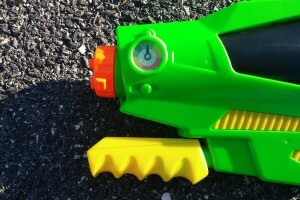 Its range and accuracy were both quality attributes and although the firing power does not quite reflect its size, hitting a target from near and far are outright strengths. 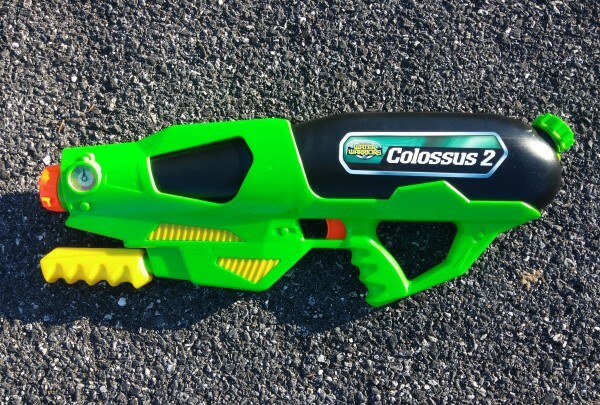 The Colossus 2’s aesthetic design is a bit lacking, as a large and imposing gun should look just that way – large and imposing! 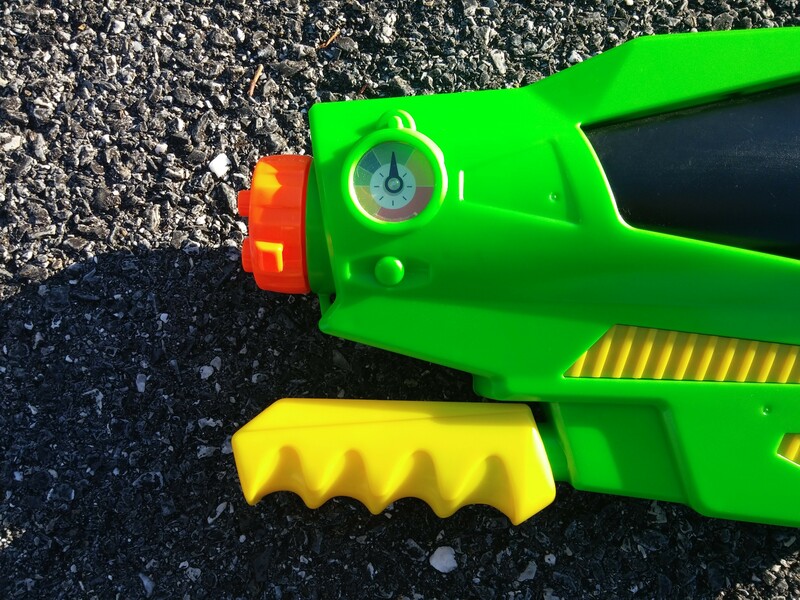 Water Warriors got the large part down, but our consensus is that this gun can go a long way in looking the part. 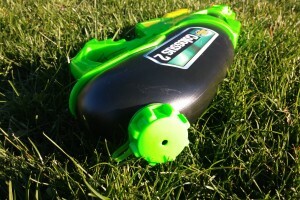 Plainly put, the Colossus 2 can store a whole lot of water, 74 Oz. to be exact. 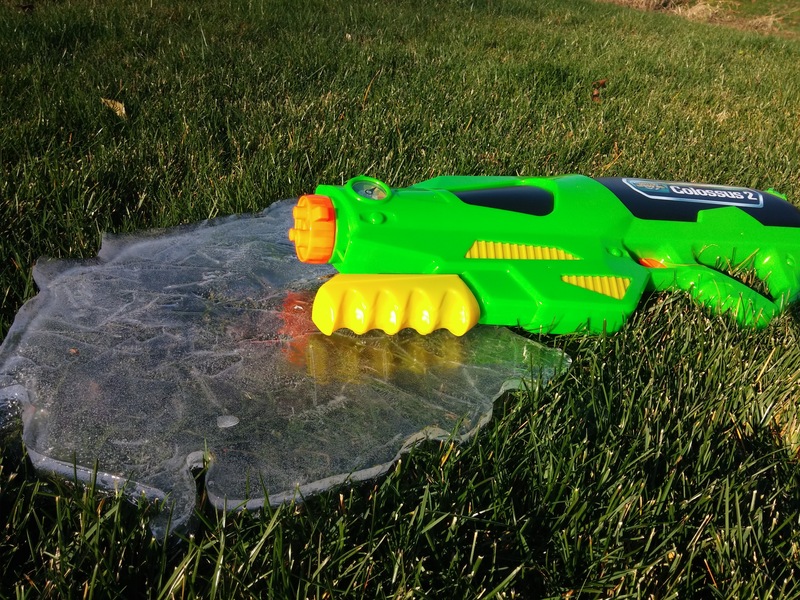 This bodes well for the water battles that occur away from an easily accessible refilling post, and will almost always spell a clear advantage over the next guy or gal. 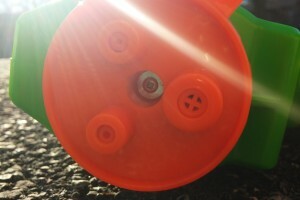 Its three firing nozzles, which are similar in transition to the different streams of a shower head, can be adjusted easily at any time at the blaster’s tip. 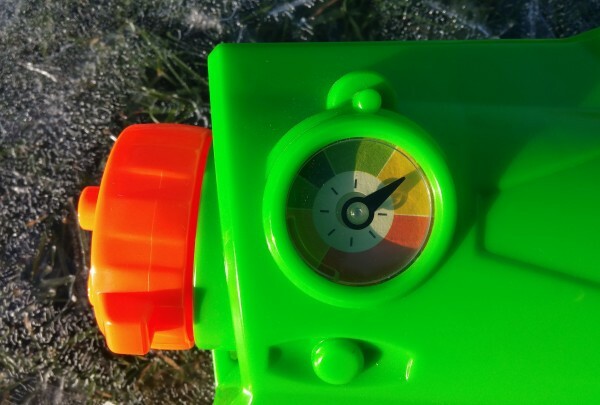 The three streams, labeled N1, N5 and N9 supposedly have different output levels as more water is manufactured on setting N9 as compared to N1, with N5 as the intermediate stream. 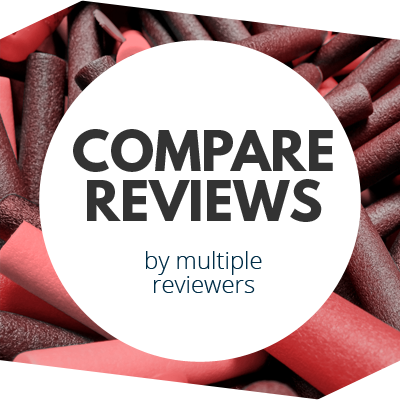 The difference is visible but the perceived effect and distinction between streams had our experts asking the question of whether or not the feature is truly worth having. 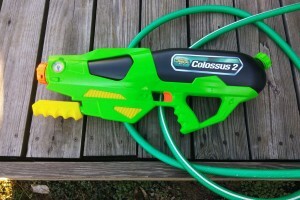 One of the more practical positives of the Colossus 2 is the fact that it simply does not leak (believe us, we tried). 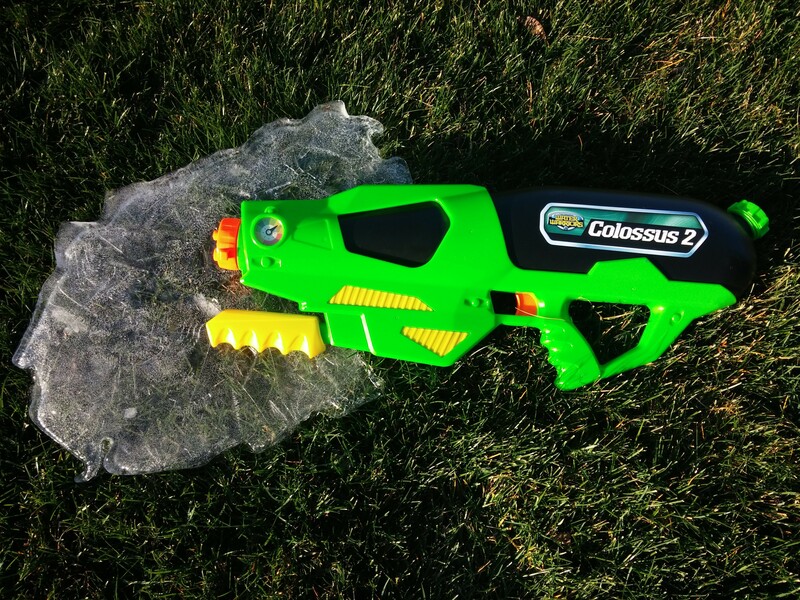 It’s quite common to see leaking with water blasters but not with the Colossus 2. 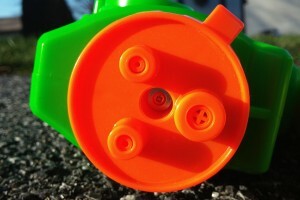 So long as the reservoir cap is screwed relatively tightly you won’t see leakage with this model from either its tip or its tank. 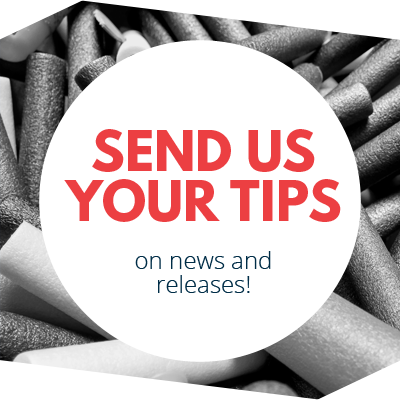 The water tight seal is likewise a convenient feature and one that protects against drenching your shirt, pants or floors when refilling indoors! 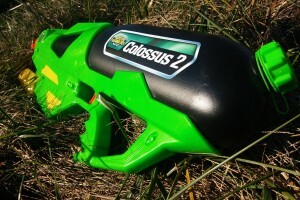 The Colossus 2 does, in fact, have excellent range and accuracy. 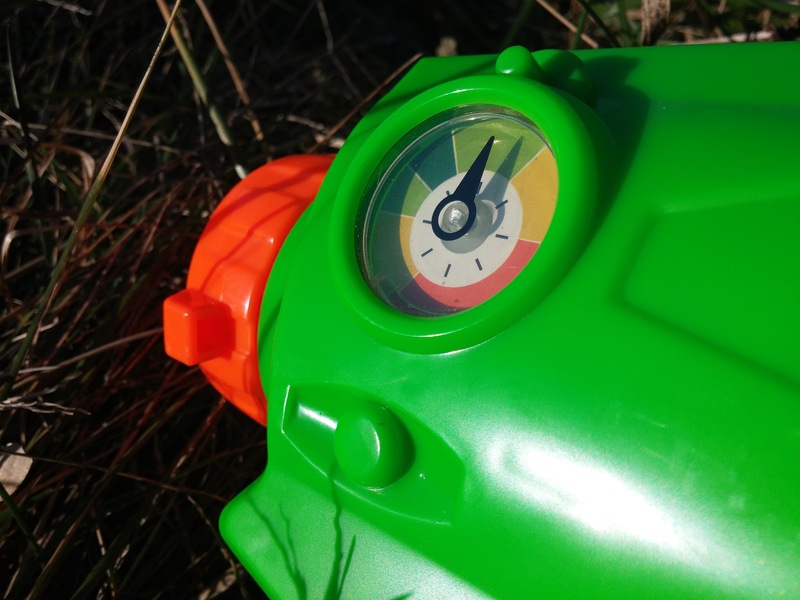 In our lab tests, save moments when the wind picked up, we were able to drill targets very accurately from nearly 40 ft. away! 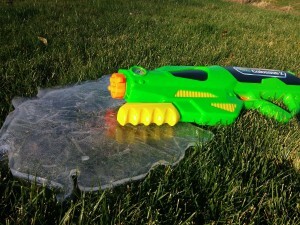 The sole caveat to this is that one must make sure that the device has been pumped adequately to power 40 ft. shots. 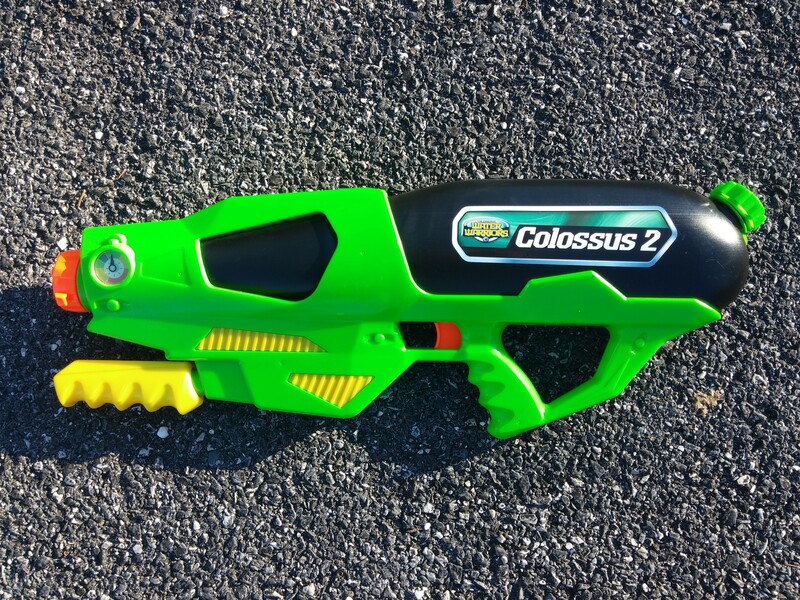 If this is accounted for, its user will enjoy perhaps the best quality of the Colossus 2, and one that’s due our applause. 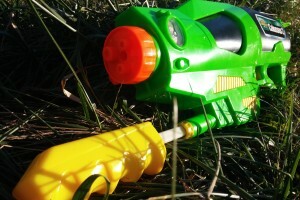 And, hitting a target from 40 ft. away is really cool! 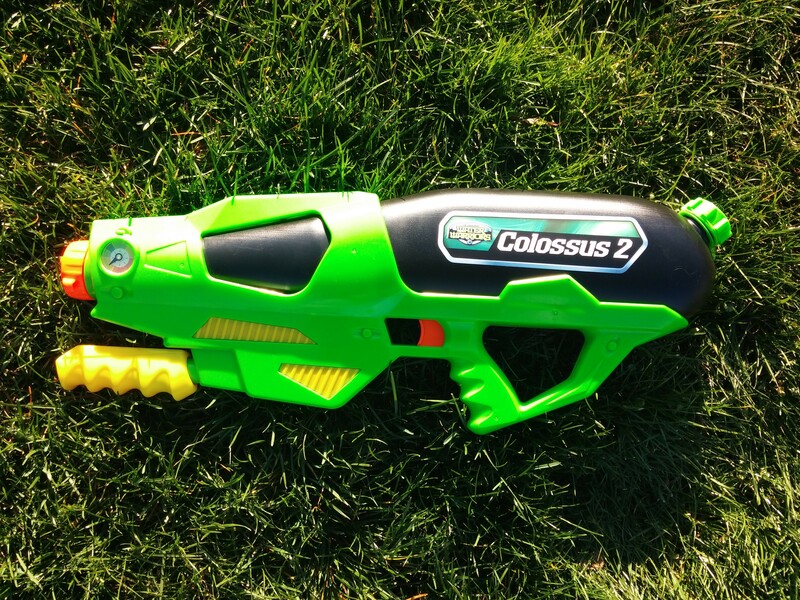 The Colossus 1 vs. the Colossus 2… upgrade? 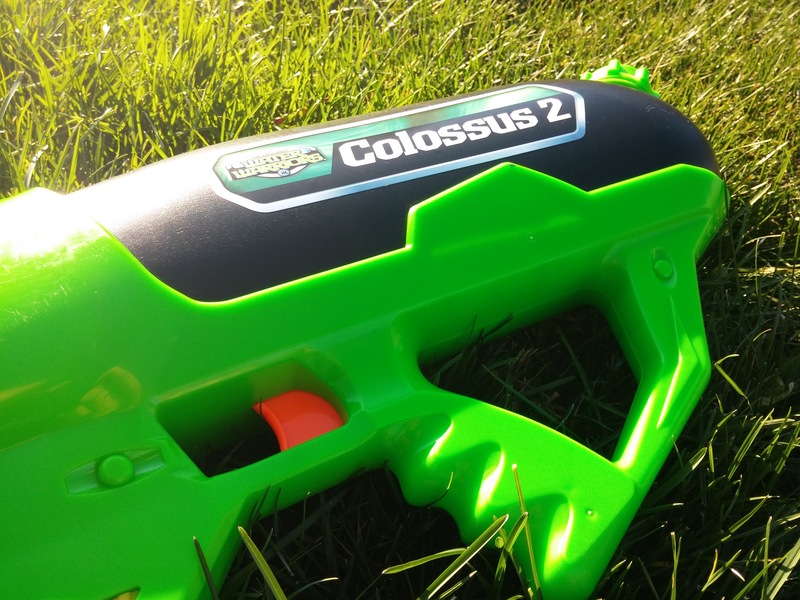 While comparing the Colossus 2 with its predecessor, the Colossus, we found little improvement if any. The Colossus had a higher water capacity and in turn it was comparatively heavier, but virtually every other feature and statistic was identical. 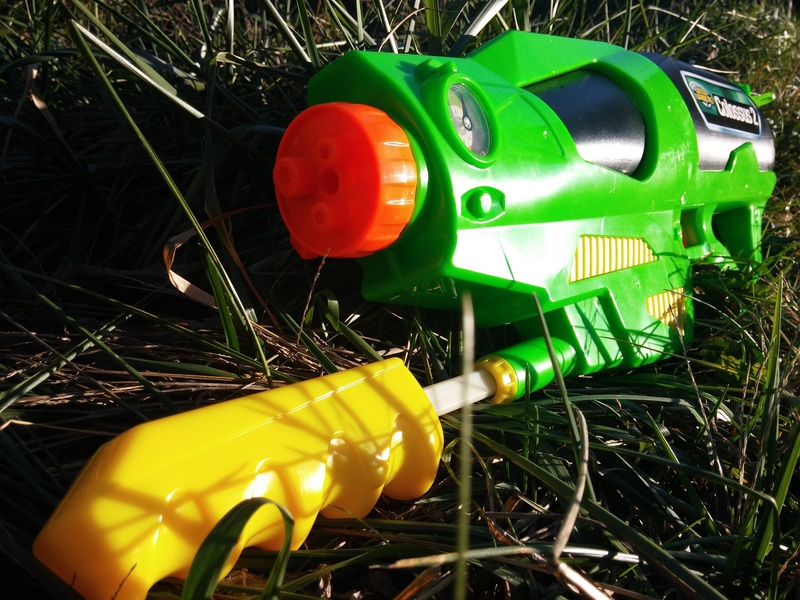 Both have a range of about 40 ft., both are powered by air pressure and a pump, and both weapons have the 3-prong adjustable nozzle head with varied streams. 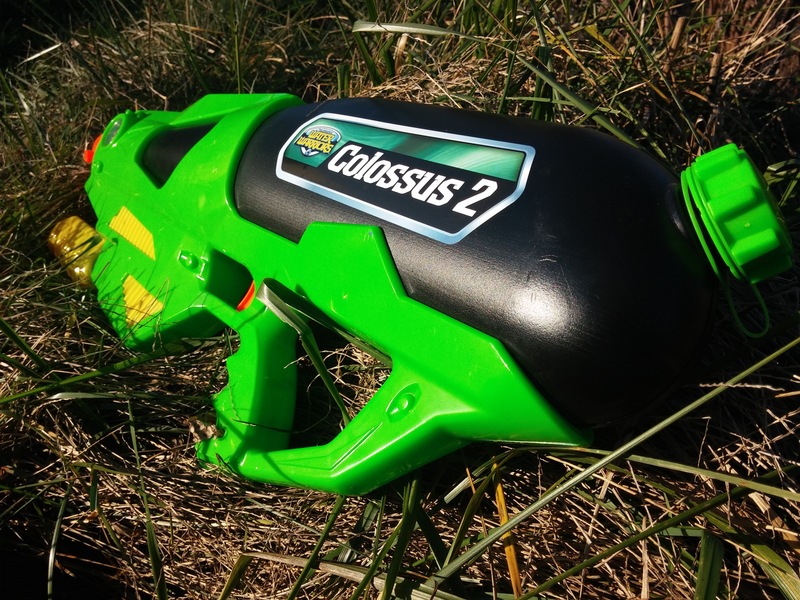 The lone feature that the Colossus 2 does have that the first generation model doesn’t is its “angle meter,” something our team found rather rudimentary. 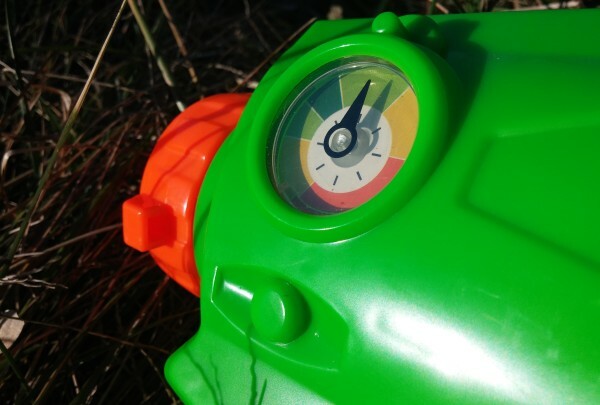 Positioned at the front of its long barrel seeing the meter itself is a task, and if it takes some work for a six foot man to consider its dial, than it would surely be burdensome for a 10 year old. But there’s more. What’s the point of the meter? Why would one want to measure the gun’s angle when the way in which one holds the blaster directly determines that fact? 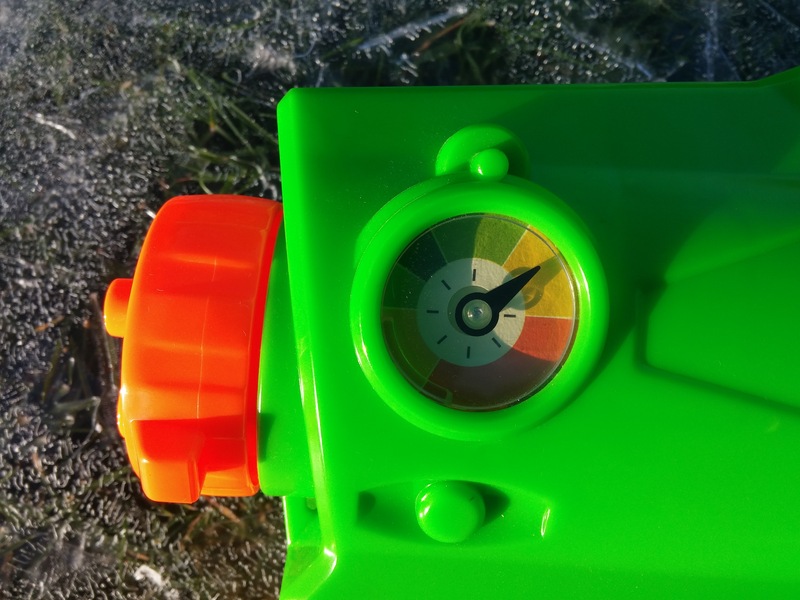 A pressure meter or even a water capacity meter we could tolerate, but an angle meter? Really? 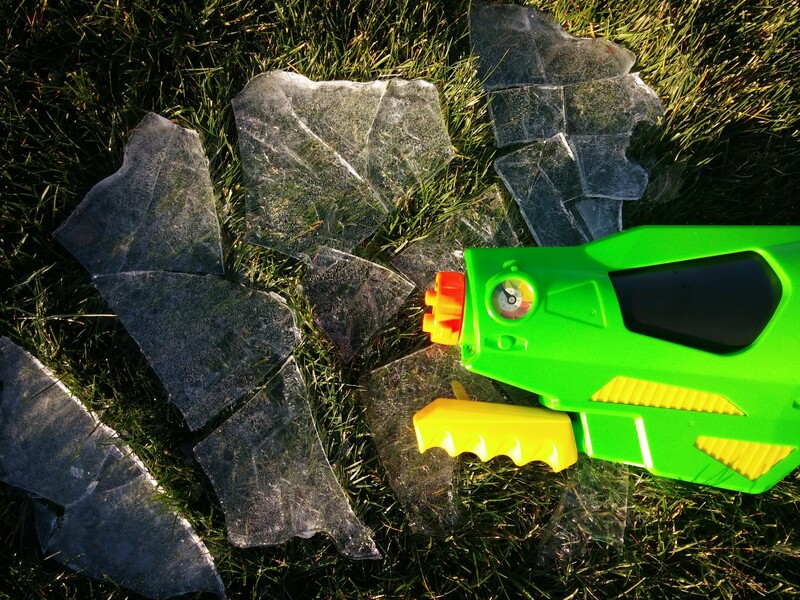 We’re in the game of soaking our nearest foe, not fussing with how plum our line of fire is! 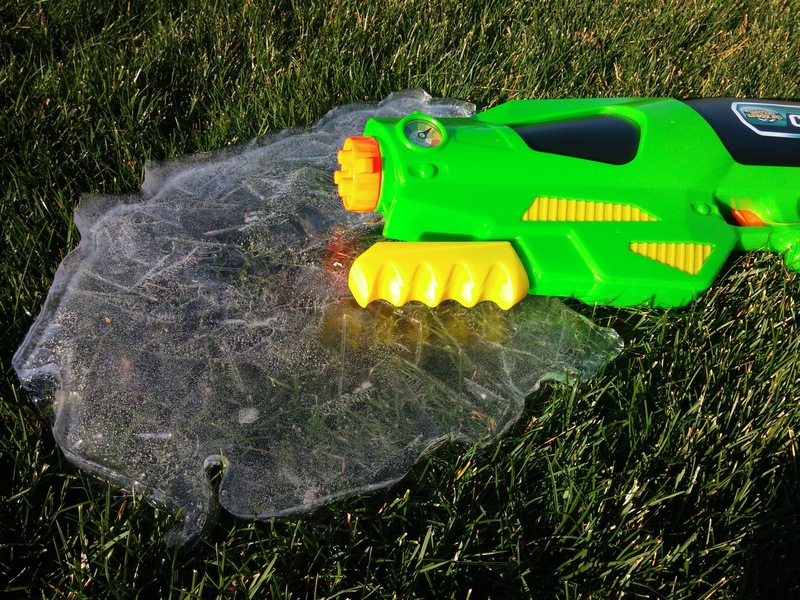 Although it’s more of a speculative claim rather than our usual cold hard facts and stats, our team was concerned about the gun’s durability, especially with its pump and surrounding hardware. 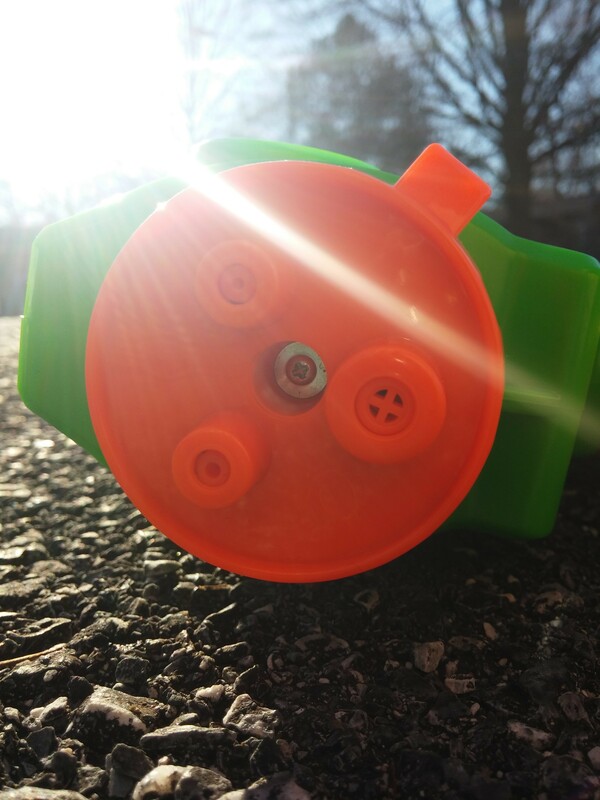 Repeated pumping was accompanied by loud “shrieking” sounds when we did our testing, sounds that were both annoying in the moment and a cause for concern for the stamina of the mechanism in the long run. 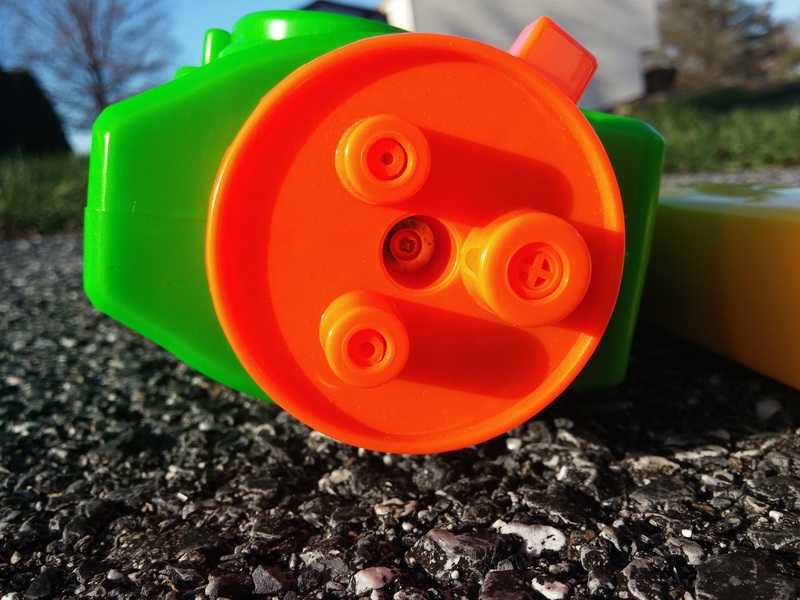 On top of this nuisance, we noticed that the actual pump handle was flimsy, especially against the wear of repeated and forceful pumping. 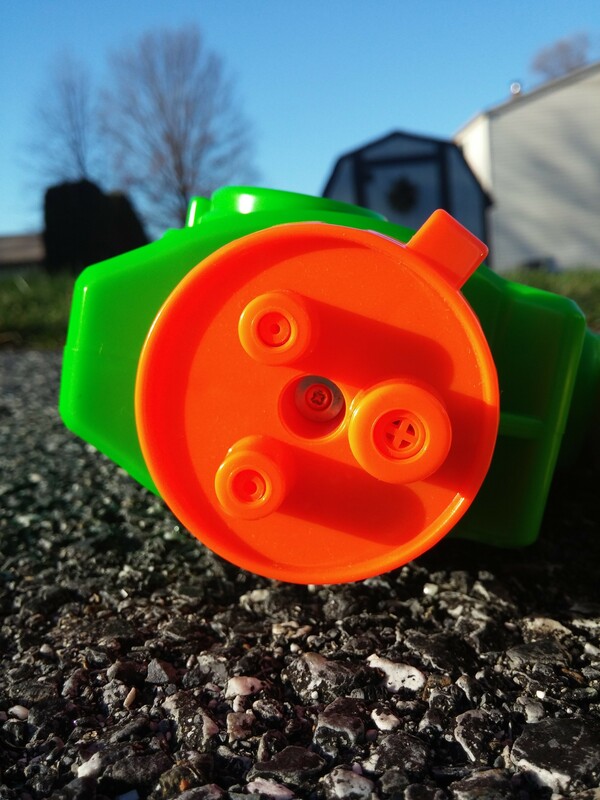 Our speculation is that with so many pumps (in the ballpark of 40-80 per tank) the pump itself could fall victim to wear, tear and degradation. 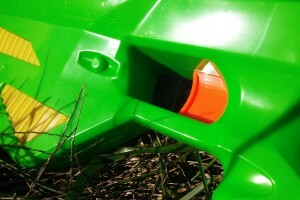 So for the sake of durability, we’re not convinced that this feature has what it takes to stand the test of time. 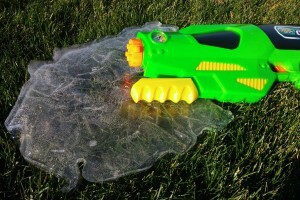 Besides, without a means to reload your water blaster, you’re doomed to get drenched! 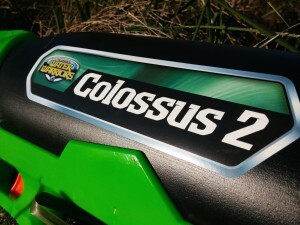 Maybe our harshest critique is in the Colossus 2’s design, feel and overall aesthetic make-up. 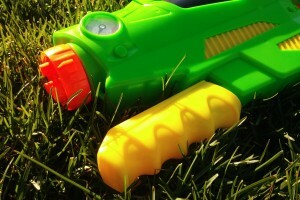 We’re longing, in general, for the Water Warriors suite of toy guns to graduate from the shiny, cheap look and embrace harder and heartier materials, texture and colors. 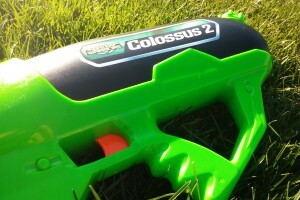 In the specific case of the Colossus 2, there is a disparity between how imposing it should look and how imposing it actually looks. 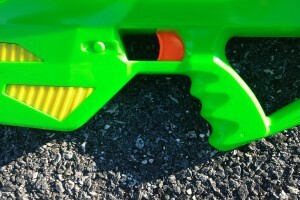 Its green and black shimmer just seems amiss for a larger water gun and its yellow pump and ‘side ribs,’ which flank both of its lower quarters, convey quite the opposite of anything “Colossal,” unless we’re talking about a Colossal flop in the area of aesthetics! 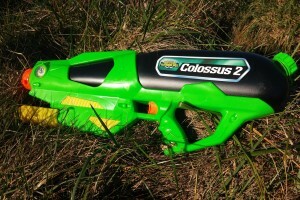 From its excellent range to its questionable durability and nominal features, the Colossus 2 proved to be a mediocre blaster. 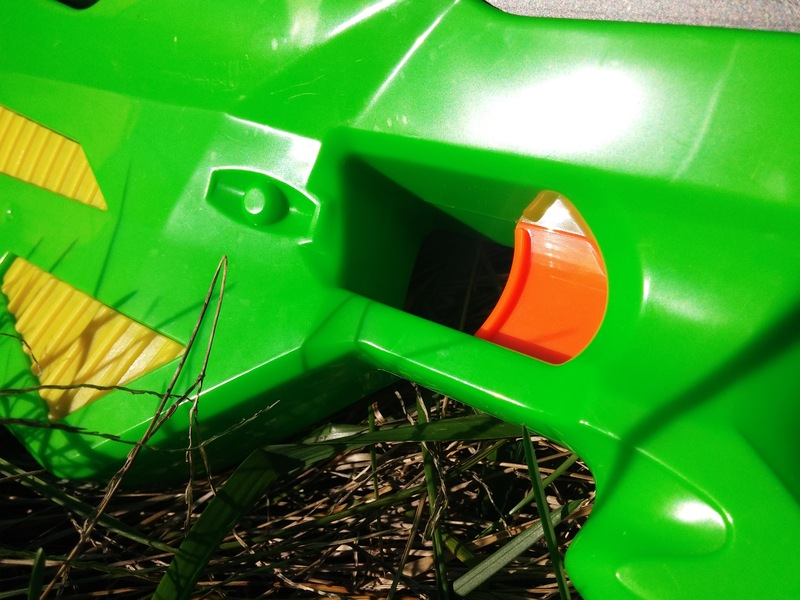 Its style and craftsmanship lacked yet when it came to the type of performance that arguably matters the most (hitting a target) it excelled. 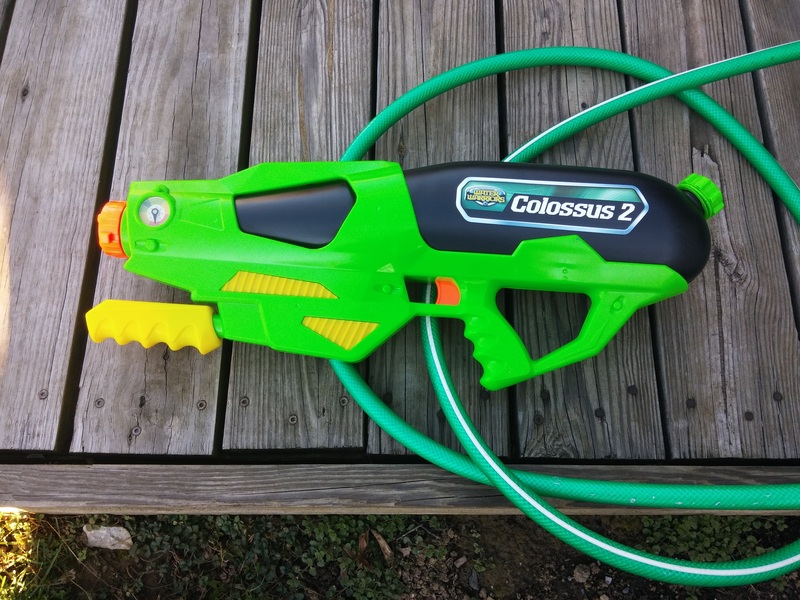 With the Colossus 2, you’ll get a solid water gun if all you’re looking for is basic, functional requirements, but if you’re looking for complete package, you’ll need to reconsider. 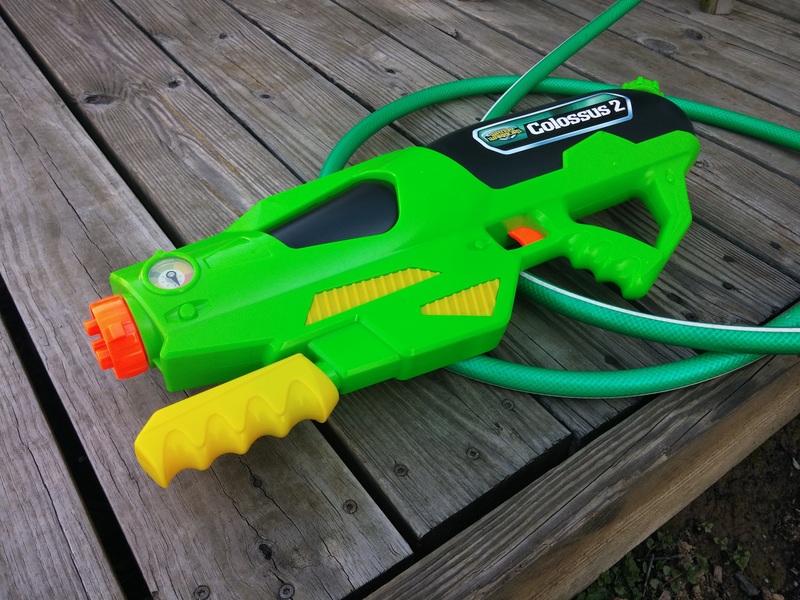 This entry was posted in Reviews, Water Blasters and tagged buzz bee, colossus, warriors, water, water blaster, water gun on December 21, 2015 by J.F. D'Orsie.